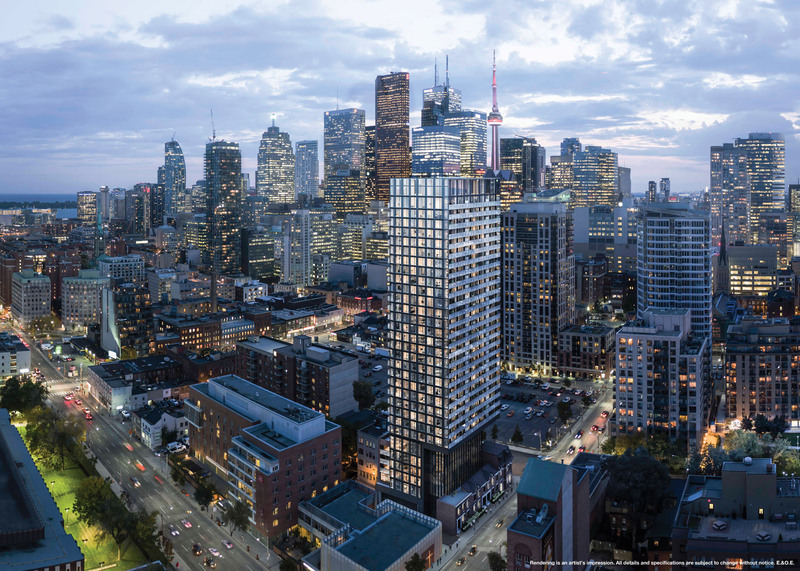 The Garden District Condominium continues the exhilarating renaissance sweeping the Garden District neighbourhood in downtown Toronto. Continuing upon the recent gentrification of Shuter St, this remarkable 32-storey, 234-suite modern contemporary building consists of 3 elements: a heritage preservation base, a mid rise podium and a glass cantilever tower allowing natural light to fill the interiors, while north and south facing balconies offer an impressive view of the city’s skyline and the plentiful green spaces surrounding the area. The heritage buildings facing Shuter Street will be carefully restored and integrated into the condominium. 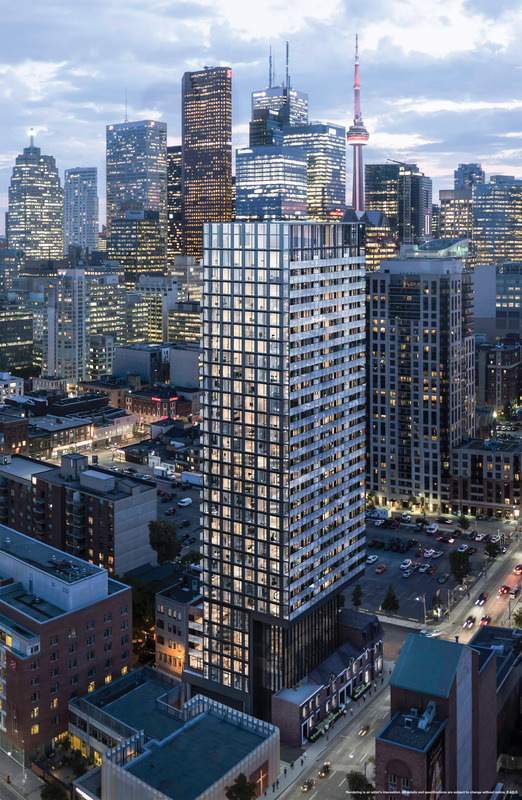 The base will be repurposed for a limited number of 2-storey lofthouses with separate entrances from Shuter St, and also for amenity space for the entire condominium. From the impressive 2-storey gym to the executive concierge, an amazing array of amenities will have you feeling utterly spoiled. An incredible walk score of 99, transit score of 100, and bike score of 83 means you can walk, take the TTC, or bike just about anywhere. And with future forward charging stations for electric cars, The Garden District Condominium truly connects the old with the new. The Garden District Condominium is one of the latest residential condominium towers designed by Peter Clewes and Adam Feldmann of the acclaimed ArchitectsAlliance architectural firm. Inspired by the enduring shapes and timeless style of architect Mies van der Rohe, the design of the Garden District Condominium will withstand the test of time. The sleek interiors are designed by Dochia Interior Design, with luxurious and refined finishes that exude modern sophistication. Contemporary yet classic, the Garden District Condominium will be a handsome timeless beauty. The Garden District Condominium is located on Shuter St, west of Jarvis St, in the heart of Toronto’s Garden District. Bordered by Yonge St to the west, Carlton St to the north, Sherbourne St to the east and Queen St East to the south, this vibrant downtown neighbourhood is immediately east of Toronto’s central downtown core and close to fabulous shopping, entertainment, and a generous offering of dining options. 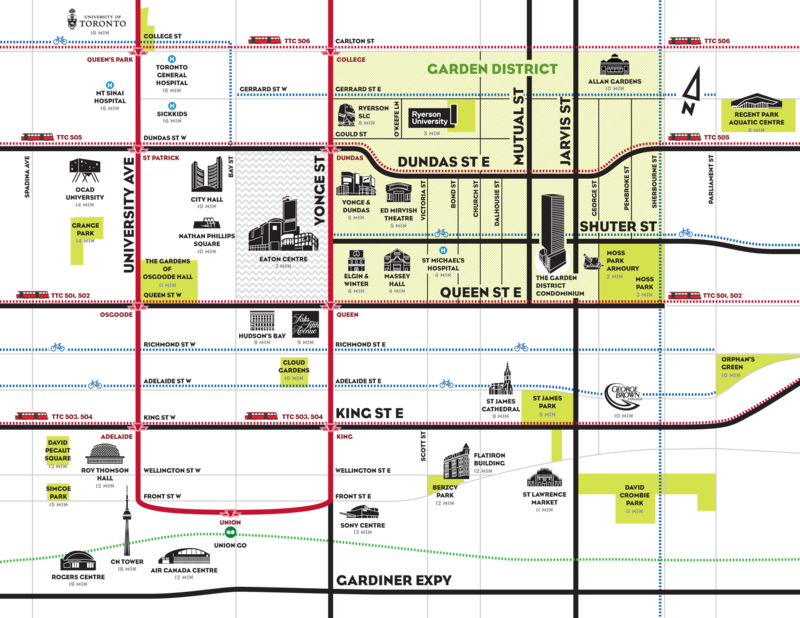 Indulge in shopping at the landmark Eaton Centre Mall, catch a concert at Massey Hall, or spend some time outdoors at one of the many surrounding parks, all are just a short walk or bicycle ride away, in the Garden District.